A few weeks ago a friend and I had the great opportunity to go see Nate Silver speak at the University of Washington. He’s a funny, engaging speaker, and for someone like me who makes his living generating and analyzing data, Silver’s work in sports, politics and other fields has been inspirational. Much of his talk covered elements of his book, The Signal and the Noise, which I read over a year ago. It was good to get a refresher. One of the elements that particularly struck me this time around, to the point that I took a picture of his slide, was the concept of the power law and its empirical relationship to so many of the phenomena we deal with in life. 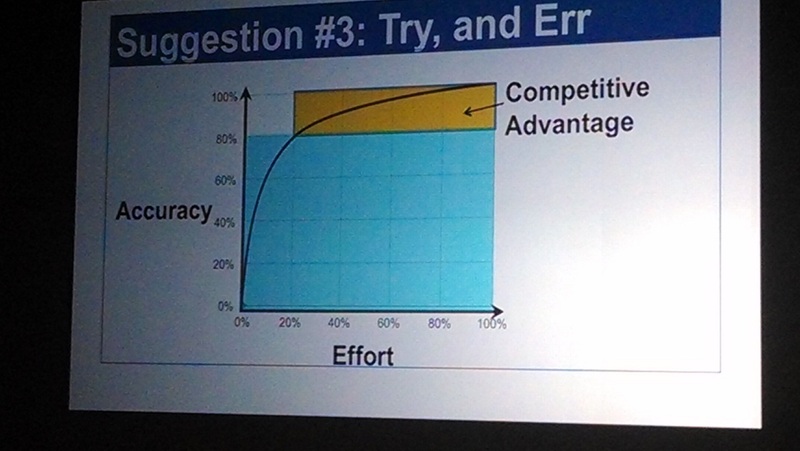 Figure 1: Slide from Nate Silver’s talk demonstrating the power law relationship in business–how often the last 20% of accuracy (or quality or sales or…) comes from the last 80% of effort. Because I spend way too much time thinking about the business of drug development, I started thinking of how this concept applies to our industry and specifically the problem the industry is facing with creating innovative medicines.